Nycote® Laboratories Corporation recently joined the Pacific Northwest Aerospace Alliance (PNAA) to partner more effectively with OEMs and MROs and better supply its advanced anti-corrosion coating technology throughout the aerospace industry. 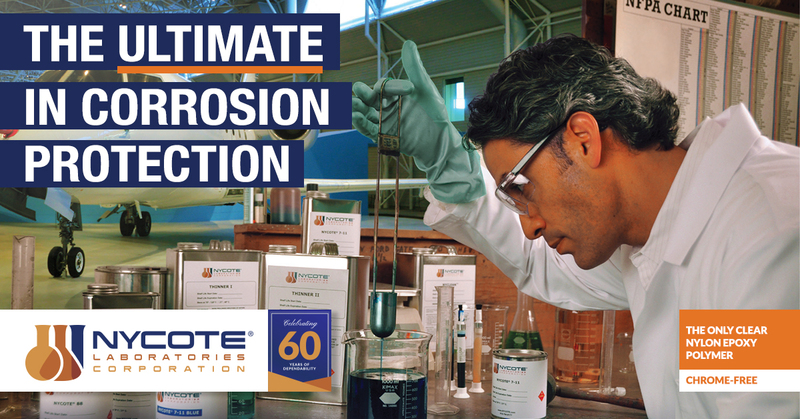 The Global Anti-Corrosion Coatings Market’s Compound Annual Growth Rate (CAGR) is forecasted to grow 5.2% to reach US$37.2 billion in the next five years and by joining the Alliance, Nycote gains access to coveted market intelligence and will be able to connect with over 350 companies operating in 10+ countries to further integrate itself into the PNW supply chain. As new markets emerge and old markets face new competition, this partnership with PNAA further positions Nycote as the anti-corrosion industry leader. Centered on serving the largest commercial aerospace manufacturing cluster in North America just outside of Seattle, WA, the Pacific Northwest Aerospace Alliance has members and affiliates around the world representing every segment of the aerospace industry. Since 2011, the alliance has been supporting the region’s aerospace industry through dynamic events that inform aerospace leaders through the latest market intelligence, connect aerospace interests, and inspire collaboration and innovation. Nycote will be attending PNAA’s 18th Annual Aerospace Conference from February 11-14 at the Lynnwood Convention Center in Lynnwood, WA. The event, titled “Soaring to Success,” will explore the latest developments in next-generation affordability and productivity that enable manufacturers to increase quality while keeping costs low. Attendees of the conference will hear from industry experts, learn from companies at the head of the pack, and engage in numerous executive networking opportunities. To learn more about Nycote’s partnership with the Pacific Northwest Aerospace Alliance or their attendance at PNAA’s 18th Annual Aerospace Conference, contact the sales department at +1 (818) 764-9498 or sales@nycote.com.